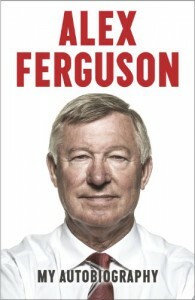 Once I was able to see past the poor writing and the lack of any structure, my gossipy self revelled in Sir Alex's tales. Though I didn't get a single joke of his, there were some funny parts throughout, and I learned that most footballers are very intelligent chaps and that Gerrard is not that good of a player really. It all felt too sugar-coated and self- important and made me cringe more often than not, but it also gave a human face to this personage with the cold stare and a halo of mystery around his head. Now that Fergie's reign at Man U is over, I do hope they walk alone for a significant while. It is time for The Real Reds to shine.